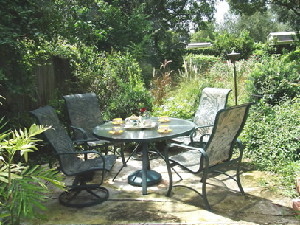 When you come to our studio, you can sip a cup of tea in our garden before class. You will immediately feel the peace and relaxation. Gentle Yoga. It is great for people over 40 or with any health condition.This class offers breathing techniques with slow, flowing movements. Beginners are welcome. 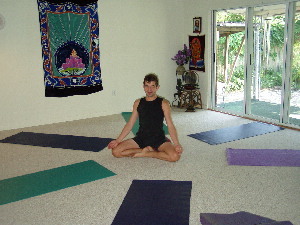 Flow Yoga integrates basic Yoga postures and deep breathing into continuous flow. Beginners are welcomed. Power Yoga . Building strength and flexibility; it balances the body, mind and spirit. Open class for all levels. Ashtanga Yoga as developed by Sri Patthabi Jois, is an athletic style of yoga that links a flowing physical practice with the breath. Perfect for those looking for a vigorous workout. Yoga Therapy. Private session with certified therapist. Each session is tailored for the needs of the individual. This may include nutritional counseling, healing yoga and psycho therapy. Healing Yoga. Adaptive movements with breathing and rehabilitation techniques. Appropriate for students with injuries and disabilities.